We have been members of Worcester Canoe Club for over 30 years and believe that being part of a club is very worthwhile, perhaps we are biased, however, we know that in a club environment you will meet lots of paddlers with all sorts of interests. They will teach you all they know if you want them to (and might try to teach you even if you don't want! ), you will go on trips (maybe even holidays) together, try out each other's boats, explain to each other why your paddles are better than their paddles!, rescue each other when you fall in, share your canoeing disasters, help repair each others boats, persuade you to make a cardboard canoe, tell you who is selling the perfect kit for you second hand, meet girlfriends and boyfriends, invite you to their weddings, take turns with childcare so you can get out on the water, teach each other's children to paddle, enjoy day time paddling with you in your retirement and generally build you a ready-made social life. In return over time you will find that you have done the same for them. You may also find that you have helped cleaned out the boat house, mended the leaking shower head, fixed the racking that was loose, painted the club room, baked cakes, run raffles and organised a social event or two because someone has to do these things! We all use our particular expertise for the good of the club. Canoe Clubs vary tremendously in what they do, what facilities they have and how active they are. You will find some clubs (like our home club, Worcester) that have modern brick built club houses full of all sorts of canoes and kayaks with a membership into the hundreds. Clubs like these are likely to run introductory courses and give you the opportunity to try out different boats (often providing boats, paddles and buoyancy aids for newcomers to the sport with the cost of their use included in the membership). With lots of members you will probably find a great breadth and depth of experience. Ask around and find out which of the paddlers or groups of paddlers is most likely to be able to help you get involved in the sort of paddling you want to do. These types of club also often have very active junior sections. 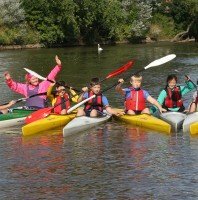 Get your children involved and you have the perfect excuse to be out paddling yourself! By contrast (and just as valuable, interesting and fun to join) you will find some clubs that have no fixed headquarters who meet at different venues to paddle together on a regular basis. This type of club is less likely to have a fleet of boats that you can use but most will be happy to share their wealth of experience with you as you choose your own kit and will help you find local suppliers, let you try their different boats and patiently teach you what you need to know. Buying them a drink at their social gatherings and showing lots of enthusiasm will probably help! Between these extremes there will be all sorts of other variations and many will have their own speciality. Affiliation What does it mean? 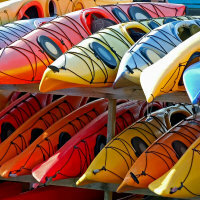 Most countries have a governing body that is responsible for developing and providing structure to the organisation of canoeing and kayaking in that country. Most of these governing bodies encourage clubs to register with them and pay some form of affiliation fee. Canoe Clubs that are affiliated to their nation's governing body should have the support available to ensure that they are run effectively and safely. You could also expect that at least some of their coaches will have qualifications which are usually overseen by the governing body. If you don't find any clubs in your area by this method you might try browsing the internet or watching out in the local paper for any news. 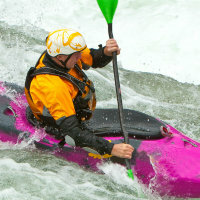 For your peace of mind you may well also find that affiliated clubs get 3rd party insurance cover for their members to cover all of their paddling activities whether as individuals or as instructors or when acting in an official capacity on behalf of the club. This is worth checking out. 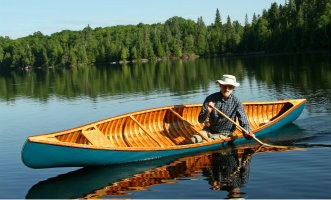 In the USA joining a "Paddle America Club" gives you individual membership of the American Canoe Association. 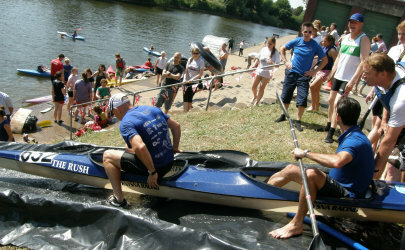 In the UK many clubs are affiliated to the British Canoe Union (BCU).